A new garden center department called Modern Homesteading at Homestead Gardens in Maryland has seen lots of traffic. Sunlight Supply, a staple in the horticultural lighting and indoor gardening business for more than 20 years, has partnered with Garden Media Group to get the Modern Homesteading department off the ground in garden centers across the country. Homestead Gardens is the first store to implement the department, and the conversation among indepen- dent garden centers continues to spread. 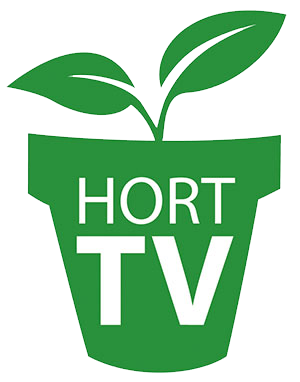 At Cultivate’16, July 9-12 in Columbus, Ohio, interested garden centers can join in on two days worth of conversations about the department and how to become a certified dealer. Sunlight Supply will also be at Booth 2032 ready for questions. Also, on Aug. 5, Homestead Gardens will have an open house for anybody who attends EIGC — The Eastern Show for IGCs, which takes place Aug. 2-4 near Philadelphia. Stop by to see the department in action. For more information on any of these Modern Homesteading events and to RSVP, contact Katie Dubow at [email protected]. In a seasonal industry, a non-seasonal department that has a modern look and attracts customers of all ages, particularly a younger shopper, seems promising. This is exactly what Brian Riddle, owner of Homestead Gardens near Annapolis, Maryland, has created with its Modern Homesteading department. The 2,500-square-foot area opened in March and features products for indoor gardening, food production, beekeeping, aquaponics and much more. In this Q&A, Lawn & Garden Retailer spoke with Riddle about what he’s seen so far and the potential he sees for the industry in this emerging category. L&GR: What got you started and why did the idea of “modern homesteading” appeal to you and your business? Brian Riddle: Since I rejoined the family business in 2011 I’ve been naturally taking a fresh look at all the things that we do and trying to find ways to improve what works and how to maybe move away from things that aren’t working and restructure them. And I’ve always been keen on trying to create year- round departments that help bring foot traffic in the door. I’ve felt strongly that our store does a great job with conversion but getting them in the door is the largest challenge, and I think from what I’ve learned from my contacts and study in our industry is that’s where we’re all having the greatest challenge is maintaining that foot traffic. In that realization we have been looking at ways to reconfigure the store, and Clint Albin [from Garden Media Group] started to share this idea in the indoor gardening category about a year and a half ago, so we started to explore some other indoor gardening retail businesses and get a little better understanding of what the category involves. I was very skeptical and sort of fell into the stereotype where I just didn’t think that that was the category I was interested in until I better understood it. Through this journey I’ve realized there was a huge opportunity not only to create a year- round category but to also introduce a different customer to our store and also take our existing customers and introduce them to an entirely different way to garden that’s in many ways more flexible and more conducive to the community that we are growing into as the density where our business is based is pretty dense. The traditional growth in our garden center is kind of subsiding with virtually no more housing developments being put in; it’s more going apartments and condos. This gives us an opportunity to serve people in those types of residential settings that still have a passion and a desire to grow. L&GR: What type of customer does this department appeal to? Riddle: It’s still very preliminary, so I don’t want to be overconfident in my evaluation, but what I’m seeing right now and the biggest highlight is that we’re seeing a younger customer and certainly creating a younger audience that’s interested. I think that is yet another problem that many garden centers are faced with; our core customer is an aging customer and so I think we’ve seen a very diverse customer and at this point we’ve seen very little of the assumed customer, if you would, or the stereotype. Through our educational programs and our introduction, we’ve seen a very broad base of people coming and certainly we’re getting some younger people, and I think that’s a real win. L&GR: Speaking of educational programs, you have 15 seminars that go through the end of July. What role does the educational component play in getting people interested in modern homesteading? Riddle: I think we’re trying to create an information/educational series of events to really help highlight all of the different applications of what we call modern homesteading. To give this new department sort of a full-circle, well- rounded approach, we knew indoor in itself was not going to be enough to support what we have, an entire department and the staff that comes with it. It’s beekeeping, it’s composting, it’s various aspects of indoor gardening — it could be lighting, it could be nutrient management, it could be temperature, environmental control. Seminars give us another way to talk about all the different aspects of what we’re doing and sort of validate to our current base of customers that this is a commitment on our part and we really are aiming to serve at a very high level with all the support that’s needed. It’s a fresh way to sort of bring attention back to some of the things that we’ve been doing, but not necessarily highlighting, all under the brand of modern homesteading. Teachers are another major source or target for us as we evolve our marketing with our “Thursdays are for Teachers.” We eventually want to get it into the schools and into the classroom, and I think it’s a great way to get young people exposed. Hopefully the school will put a system of some sort in the classroom but it’s also something students can bring home, and they can do it on the kitchen counter or in their bedroom. I think the applications of these products are virtually limitless and something that’s not intimidating and something they’d be comfortable bringing home. Many of our schools in the market that Homestead serves may not even have a space that’s available on the outside, so the accessibility is universal. The growing season and the school year do not overlap all that well, and this is year-round and can be adapted to their calendar at any time. From a school standpoint, I think it’s really an ideal way to garden. L&GR: Do you see this as a category other garden centers should be embracing, and do you have any tips for them? Riddle: I think that all garden centers need to continuously explore new categories that naturally fit in the current product mix. In the case of Homestead, we’re very much a lifestyle store and outdoor living super center, so I think the definition of a garden center needs to be sort of revisited and open minded. I think this particular category is such a natural fit because for our current customer this plays right to their passions and things that they love to do, so I think there’s a world of opportunity to develop our current customers into it. For the smaller, urban customer, I think it is such a great way to serve a segment of the community that a large part of the products that we sell have very little if any opportunity in those settings. The nice part about this department, and there are not many things in my store that are this way, is that once it’s set up, it doesn’t have the seasonal reconfiguring that we have to do in the rest of our store. We are constantly transforming our store from season to season and although this department will have some merchandising changes, for the most part it’s a pleasure to have something that once you put it together, the bulk of it stays in its configuration. I think that we are happy to not have to break it down every three months. I do want to stress that this category is coming and it’s not exclusive to small independents. I do think that this trend is identified, and the larger chain retailers are going to be moving into this as well, so I think the opportunity is now to get in front of this and take advantage of it and really be established as the expert in your marketplace before they get out in front of you. I do think there’s a lot to be said for being the first in your space. I personally believe this is going to be a tremendous success and add-on to our business, and all of the reservations and sort of concern that I had as I went through the decision-making process; none of my worries have ever been materialized. It has been nothing but positive from all those who have seen it, and we have had nobody question the legitimacy of what we were doing. It’s been pretty remarkable.